Effectively precipitates DNA and RNA from samples. 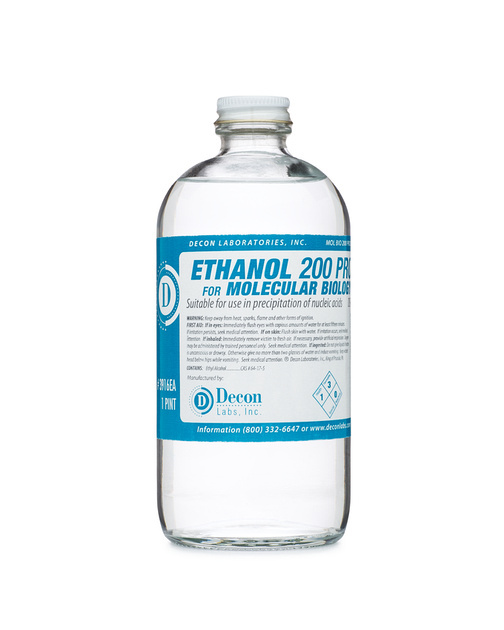 200 Proof (100% ethanol) can be used full strength or diluted with endonuclease-free water to desired dilution. Tested and shown to be absent of Dnase and RNase, endonucleases that can degrade DNA and RNA. Includes Federal Excise Tax. No Federal Permit required.